Kenya is taking mobile money transfer to a completely new level with M-Pesa. M-Pesa currently offers one of the world-leading mobile money systems. 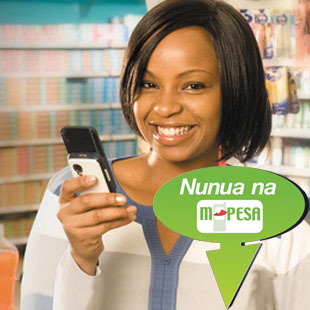 From the name, M-Pesa, M refers to Mobile whereas Pesa is a Swahili term meaning Money. This money system is a product from Safaricom Company. Over the years, M-Pesa has become the most popular money transfer platform in Kenya. With recent development in technology, it has spread its coverage and subscribers can send money to and from different countries in the world. Safaricom has invested a lot in R&D to perfect this platform and ensure fast and easy money transfers. Even more interesting is the ability to make money transfers to other mobile money platforms. The key objectives of M-Pesa Kenya are to make money transfers easier, faster, convenient, as well as efficient. It has been able to reach out to a large population in Kenya with approximately 25% of the country’s gross national product (GDP) flowing through this platform. What makes M-PESA Kenya the Platform of Choice? There are several other money transfer platforms in Kenya but it is evident that M-Pesa is gaining popularity in the country. The advancement in technology and Internet services has moved this service into a completely new level over time. The following factors have made this platform reliable, convenient, easy to access, as well as fast. Nothing beats M-Pesa services in Kenya thanks to the distribution channels it has put in place. You will not need to go far before seeing an agent or a transfer media that will allow you to send or withdraw money. This not only true to major Kenyan urban centers but also to the rural areas where there is little or no infrastructure. By beating its competitors through this tactic, you will find that many users prefer this platform. No matter where you are in the country, you can easily access your money or send family and friends some cash. It has managed to penetrate where mainstream banks have not even though some have been in the market since time memorial. Market wise, M-Pesa has you covered no matter where you are. If you are looking for a platform that will perform several functions at the same time, you will definitely want to work with M-Pesa. Different companies are working with M-Pesa to help subscribers pay bills and also allow businesses accept payments for products and services. Individuals can not only send and receive money but also pay utility bills, shop conveniently without handling cash, as well as top up airtime to their mobile phones. Nobody likes queues; hence the ability to reliably pay bills from the comfort of your home or office is a major plus for M-Pesa subscribers. M-Pesa Kenya has ventured into the international market and made it possible for users to send and receive money in different countries. It is practically looking to bring Kenyans, even after travelling or immigrating to other countries, closer to home. The process of completing international transfers remains fast and easy without the need of any expertise. This functionality is achieved by partnering with other international remittance businesses like KenyaPesa. When looking at the telecommunication service providers in Kenya, Safaricom has managed to ensure that their mobile network coverage spreads across the entire country. This comes in handy in case of emergencies in a country where fixed telephone infrastructure is almost nonexistent. This has led to the increase in numbers of people subscribing to this platform. This translates to more users for the company’s M-Pesa service. The above strategies and benefits have made M-Pesa Kenya the preferred mobile money transfer platform in the country. Whether you are looking to send or receive money, pay your bills, or top up your airtime from the comfort of your home or office, this is the platform to work with. It is diverse thus adequately covering the entire country as well as spreading its wings to other countries. Expansion processes have not slowed down and this helps to retain M-Pesa users’ loyalty. While countries in the west offer streamlined online banking, Kenya offers mobile banking and mobile money transfer called M-Pesa. 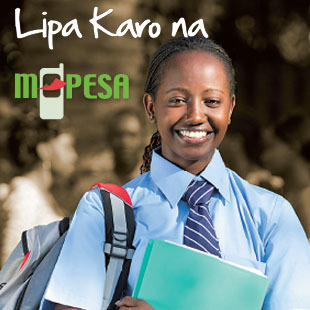 M-pesa is a life changing technology that will run on any cellular phone. What are the Challenges of Sending Money to Kenya Online? Sending money online has made it convenient and fast for individuals to send money from any country to Kenya. While this avenue has made things easier even for emergencies, it comes with its own challenges. Kenya may have a great online platform and a wide population that is connected but the system does come with certain challenges when sending money to Kenya online. The major aspects to put into consideration will include transaction capabilities, costs, as well as trust. Sending money online to Kenya requires the use of technologically advanced equipment as well as the Internet which may at times experience hiccups. Such hiccups cause the money to arrive late or sometimes the transaction may be marked as sent whereas it did not send it. While there are ways to remedy such situations, they lead to inconvenience, frustrated clients and inefficiency in the delivery systems. Every transaction that comes through will definitely incur certain costs depending on the amount you are sending, where you are sending it from, as well as the online platform you opt to use to send the money to Kenya. Using online money transfer platforms like KenyaPesa is meant to minimize costs and making the process convenient and fast for the client. However, the fees incurred on each transaction can make it expensive on the sender. For individual who make frequent transactions may deem this costly but it will favor individuals who only have to make a few transactions once in a while. The security of digital money is a major challenge. There are three major concerns in this category: Concerns have been raised over the possible manipulation of the value of e-money, protection against theft, as well as unlawful encounters. Though e-money security is achieved through encryption codes (cryptography), cases of hacking do occur at times. Even with automation, programmers still have to address hacking problems and even though measures are being put in place to address this issue, there is still much more that needs to be done. Money that is being transferred across one state to another has to be exchanged from one currency to another. Exchange rates cannot be standardized because they are governed by different legal entities. This has raised challenges as each currency is competing in the market to strengthen its value. The rise and fall of a given currency alters the costs of sending money to Kenya online. On the online platform, different currencies are exchanging hands and ensuring that every rate is ideal for the sender can be a challenge for the money transfer service provider. The above challenges of sending money to Kenya online tend to cause delays or loss of money. Some are temporary whereas others are continuously being addressed in an effort to boost efficiency. Growth in the Kenyan economy and improved Internet and mobile connectivity platforms has helped address some of the above-mentioned challenges. There is room for improvement and this avenue is becoming a better choice for many Kenyans living abroad. The entire KenyaPesa team would like to wish everyone in Canada an awesome VictoriaDayLongWeekend. Weather man says it's going be a warm weekend, lots of outdoor activities lined up in Ottawa for the entire family to enjoy. Share some of the fun with loved ones and friends back in Kenya by sending Mpesa online transfer at KenyaPesa and pay $0 in transfer fees on your order. Use the coupon code PESA to claim your discount. Who What Where is KenyaPesa? KenyaPesa is made up of a team of experts whose objective is to assist other people from East Africa who live in the diaspora support their loved ones back home by sending cash to Kenya via Mpesa, AirTel Money, Bank Deposits and Cash pick Up from our agents in the region. KenyaPesa is money service business registered in Ontario, Canada. We provide money transfer services from Canada to Kenya. You can pay for your order using instant transfer provided by INTERAC. It is fast and convenient. We would like you to test drive our service for FREE. Just register for a free account, create your order, pay and send. We'll deliver the cash within 24 hours guaranteed.